The internet is a magical place filled with magical things. Kardashian conspiracy theories, shocking *cough* revelations about a certain Bachelorette contestants (oh hey, Jarrod) and entire dinners cooked in a sandwich press. Wait. What? Dinner cooked in a sandwich press??? 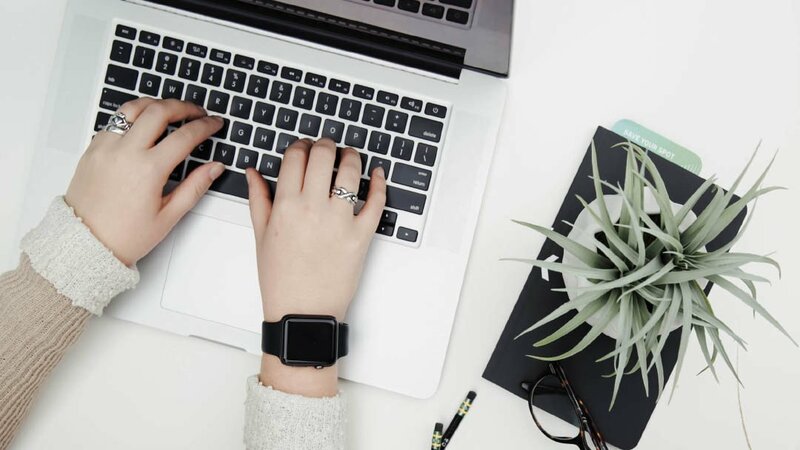 Yep, I’ve taken a break from shameless celebrity stalking to bring you some of the 8 best food tips and recipes I’ve discovered from other Aussie bloggers this year. And the best part? Food, includes coffee and alcohol. Cos both legit food groups, right? From sandwich press chicken, to the crispy golden fried eggs that changed my life. Get ready to be seriously AMAZED! 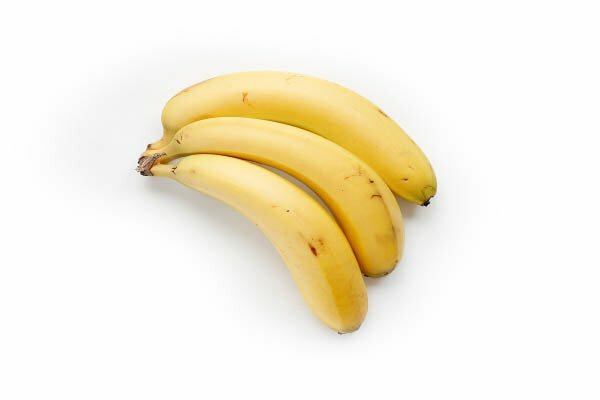 Have you spent your entire life thinking the only way you could use up overripe bananas was by making banana bread? People. You are so WRONG! 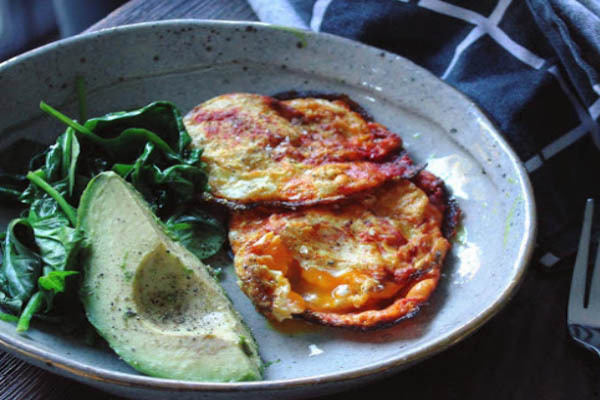 Food photographer and stylist extraordinaire Healthy Natty (aka Natalie Zee) has put together a list of 10 awesome things you can cook with bananas. Hot Tip – banana fudge. Insanely delicious. You need it in your life. That is all. If you’re anything like me, that sneaky mid-week pizza means Wednesday night’s stir fry ingredients are still sitting in your fridge. 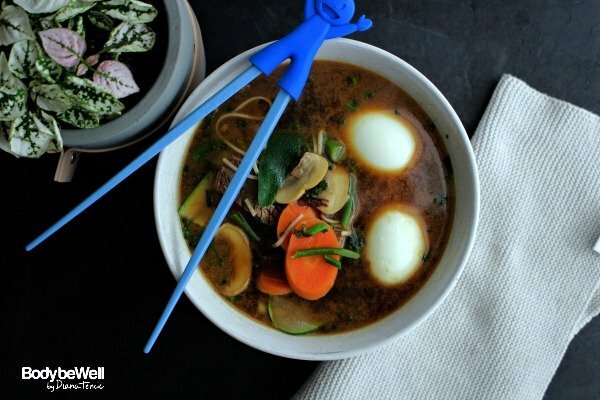 But don’t worry, busy Mama, personal trainer and muesli entrepreneur, Diana from Body be Well has got us covered with her Pho Easy – 15 Minute Noodle Soup It’s made almost entirely using leftovers. And for something that takes literal minutes to make, it’s freaking delicious! Turns out that pizza was an excuse to make this delicious nourishing soup, right? You can grab the super quick and easy recipe over on Diana’s website. I seriously lost it over this recipe. Not just a little bit. I lost it a lot. Vic Yordo’s crispy golden turmeric eggs kept showing up on my Instagram feed, so I thought I’d give them a try and ohmygosh AMAZING! They are crispy, golden fried egg perfection and you seriously have to try them for yourself. But warning. Be prepared for a new obsession. Get the easy 3 ingredient recipe over on Vic’s website Natural Nutrition. One of the easiest ways you can help reduce waste and save the environment is to use a disposable coffee cup. But since hell hath no fury, like a cup that gets between a woman and her premium coffee experience, you want to make sure you choose the right one. Enter Vicky from Training for Chocolate. 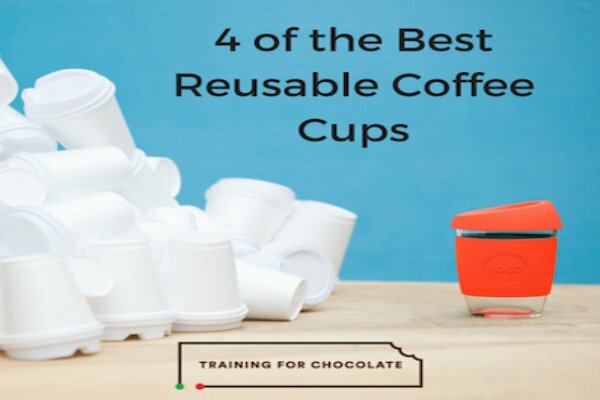 She has put together a list of her 4-favourite reusable coffee cups. What I absolutely adore about this list is that it is super honest. Vicky has personally tried each cup and fesses up about the good, and not so good stuff. If you are thinking of taking the plunge (bad coffee pun intended) and buying a re-useable coffee cup, make sure you check out Vicky’s review here. When another blogger out quick and easys you. Okay Carly Jacobs. It’s official. You and your ready to serve polenta, got me good. I’m not sure why I hadn’t thought of this myself, because it is seriously the best idea. Ready to serve polenta comes in blocks. All you need to do is cut the polenta into slices, heat it and wal-lah! Fancy pants side dish is served. Brilliant! 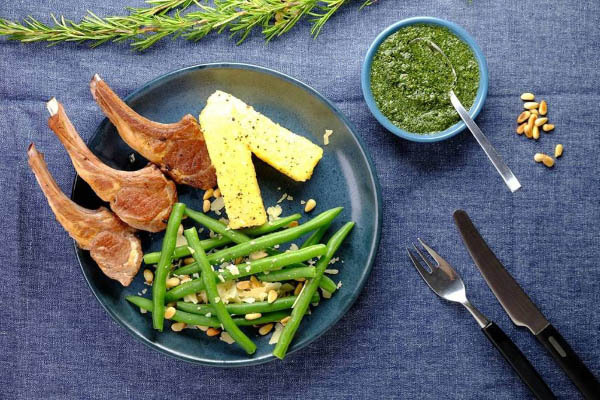 You can see how Carly uses polenta in her cooking on her blog Smaggle. Adeline from Eat This Burn That is known for being the meal prep ninja. But now she can add all-round legend to her resume. She invented a 3 ingredient frose recipe. Not only is it refined sugar free. It is made with a $4.99 bottle of Aldi rose. 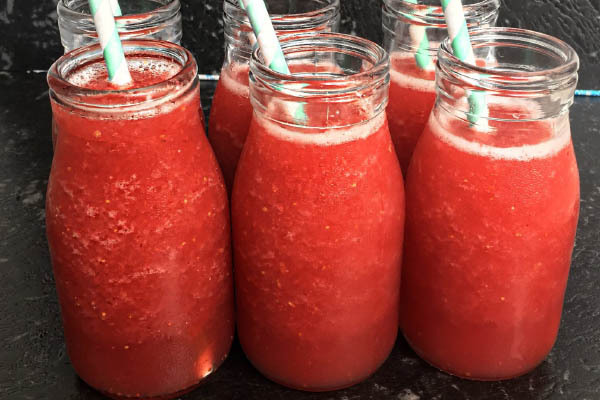 Get the recipe for Adeline’s frose here. It’s more hot cocoa and fuzzy socks than frose and flip flops in the Northern hemisphere right now. 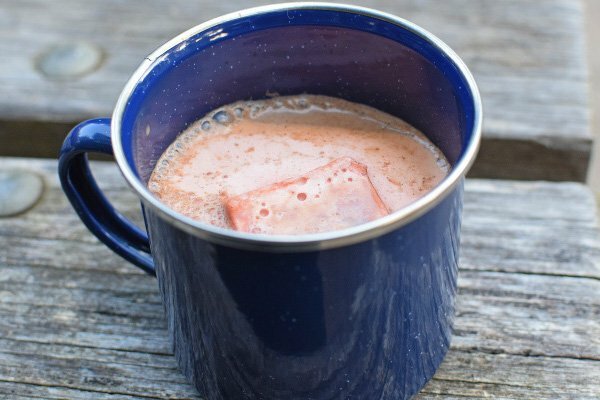 And if you’re looking for a winter drink to rock your fuzzy socks, look no further than Erin from Dreaming of Almonds, ginger spiced hot chocolate mix. It’s super easy to make, sugar free, but still crazy delicious. And I should know, I lived off hot chocolate hugs this winter. Grab Erin’s super simple recipe here it’s a winter pantry essential. People. This will change your life. Really? I mean. Really Really!!! One night Beth from BabyMac needed to get dinner on the table fast. Like 15 minute. 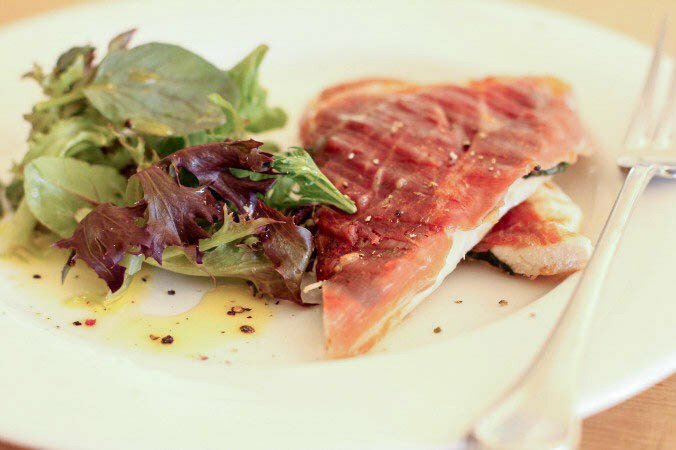 She looked in the fridge and saw chicken, basil, prosciutto and mozzarella. And what happened next was nothing short of brilliant. Yep, an entire chicken dinner cooked in the sandwich press. And it worked, it seriously worked!!! Get Beth’s step by step instructions for cooking sandwich press chicken on here website BabyMac. 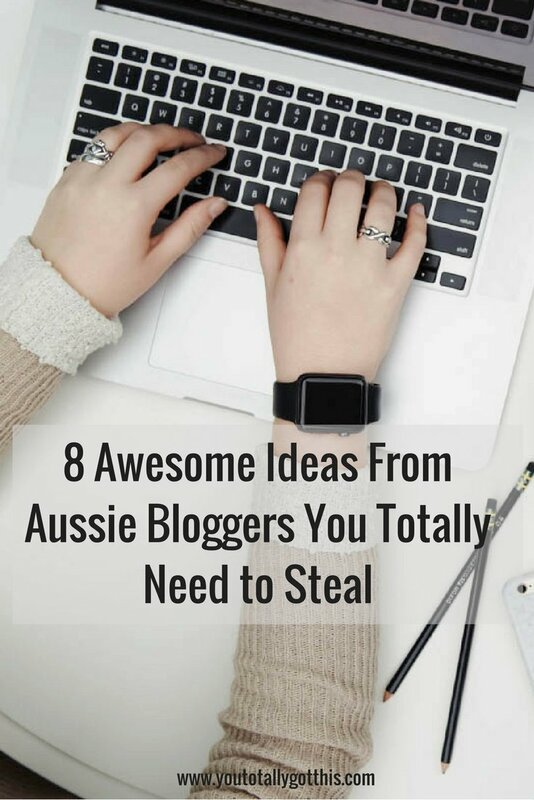 Have you picked any amazing tips from Aussie bloggers this year? I’d love to know what they are so I can add the to my list. leave a comment to let me know. P.S Want more easy dinner tips? Grab your FREE quick and easy weeknight dinner plan with 5 awesome 20 minute recipes right here.